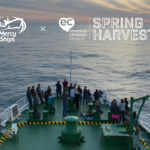 Mercy Ships is proud to be a partner of Spring Harvest 2018. Since early April, we have been on the ground in Minehead, Skegness and Harrogate, talking with attendees and listening to incredible stories. We have been inspired by the Spring Harvest theme of developing your faith through your head, your heart and your hands, which has us thinking about the work that our dedicated volunteers do every day in service of those in need. The severity of the world’s global surgical crisis is so vast that it can be difficult to comprehend. More than 17 million people die each year from conditions requiring surgical care. In Western Europe, only 2.5% of the population lacks access to surgery. Contrast that with sub-Saharan Africa, where this is true for more than 95% of the population. Before we can develop solutions to resolve this, we strive to develop a clear consciousness of the cause of this crisis. We look for a deeper understanding of the root causes for the lack of care within each country we serve, working with local governments to assess how we can best outline meaningful ways to enact change in a short time. We know this crisis needs not only action, but thoughtful solutions. 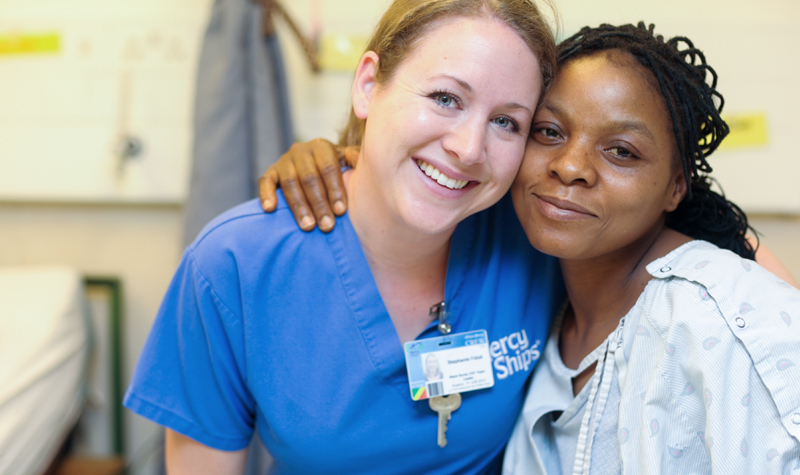 It’s the heart of our selfless volunteers who drive the life-saving work Mercy Ships performs to change the odds for many. Each volunteer who serves with us does so because they feel a calling to aid someone in need. These dedicated volunteers show empathy and compassion to every patient, from the mother suffering from childbirth complications to the young man who lives with a benign facial tumour that has obstructed his breathing for more than a decade. 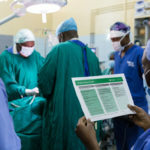 It’s easy to become overwhelmed by the scale and scope of the global surgery crisis. Those numbers, though, are made up of real people, real lives that are transformed forever by the work of Mercy Ships. Those stories of the heart serve as the motivation that drives our mission. 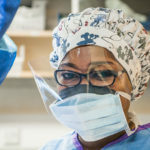 With their hands, Mercy Ships surgical and medical volunteers use their talents to perform surgeries, provide dental care and nurse patients back to health. This action doesn’t stop there. 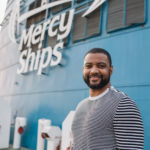 Each person who serves with Mercy Ships does his or her part to ensure we can fulfill our mission to eradicate diseases of poverty in West Africa. Maintenance crews keep our floating hospital operating so we can travel and bring care. Teachers educate the youth onboard. And cooks ensure each patient is well fed. All hands are on deck with Mercy Ships. 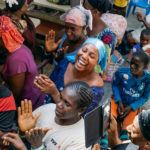 Your support enables us to bring together all three facets — the head, heart and hands — as we offer healing and hope to those most in need. Will you consider making a donation today?